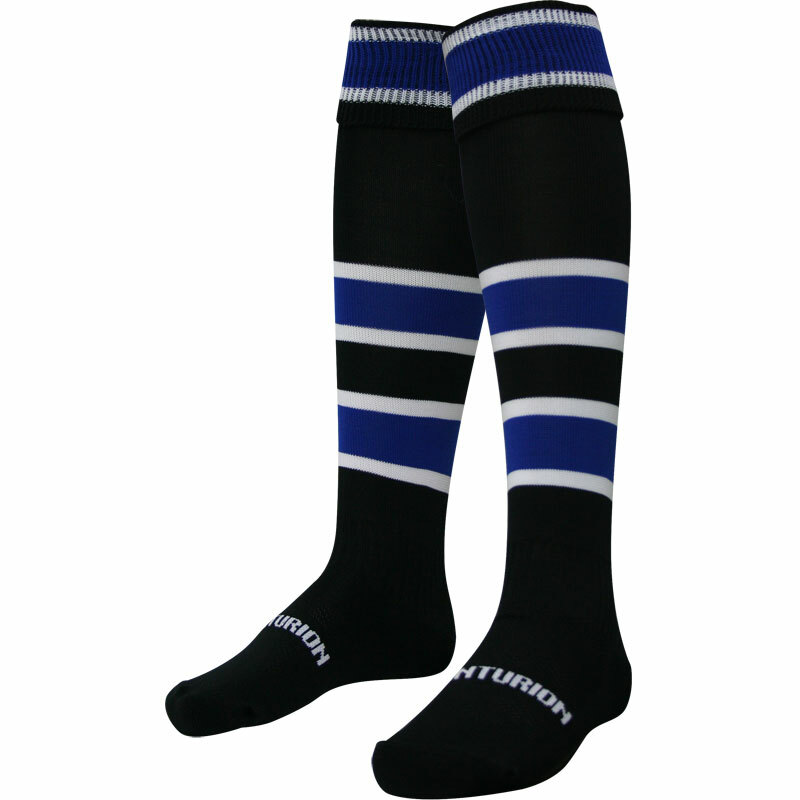 These Driffield Hooped Football Socks are perfect for rugby, football or hockey. Elasticated turn over top - eliminates the need for tie-ups and can be worn under or over the knee. Elasticated ankle support - helps support the ankle and hold the shin pad in place. A rosso flat toe seam - gives added comfort. Fine knit - enables extra stretch around the calf area. Padded sole - gives added comfort. Micro mesh venting - gives breathability. Elasticated foot support - for a better fit. Sock content - 95% Nylon 5% Elastane. No problems with the online purchase at all, I was kept informed on receipt and delivery. I would certainly have no hesitation in using the service again.